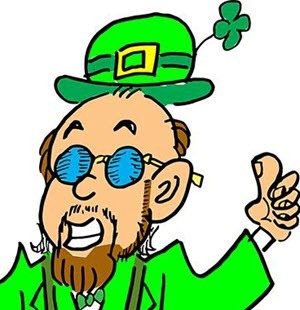 Happy St. Patrick’s Day from yours truly, Bob Ray, your Globetrotting Boss Jock. With this fun holiday just around the corner, here’s one of my favorite recipes for corned beef and cabbage. Are you a fan? Let us know what you think in the comment section. Place corned beef in large pot or Dutch oven and cover with water. Add the spice packet that came with the corned beef. Cover pot and bring to a boil, then reduce to a simmer. Simmer about 50 minutes per pound or until tender. Cook until the vegetables are almost tender. Add the cabbage and cook for another 15 minutes. Place vegetables in a bowl and cover. Add the desired amount of broth to plating.